With over 25 years’ experience helping homeowners solve wildlife and pest problems, Skedaddle knows just how difficult it can be to keep your home protected. Houses are under constant threat of entry from animals in search of shelter and food. That’s why it’s so important to inspect your home often for activity and potential points of entry. In an effort to keep wildlife on the outside many homeowners reach for a can of expandable spray foam from their local hardware. While convenient and inexpensive, here are a few reasons why you might consider resisting the urge to apply spray foam to your home’s exterior. 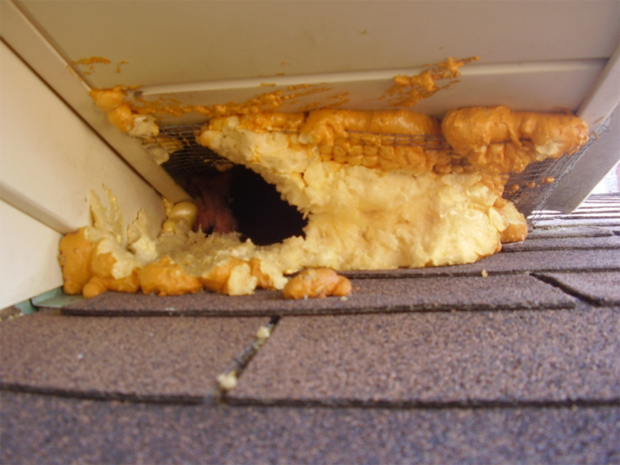 Covering an active raccoon, squirrel or mouse entry point with spray foam won’t do a whole lot to keep them from your attic. Once they have a little success scraping away the first layer, these clever species of urban wildlife will continue to scratch and chew at the foam until they find a way right back inside. 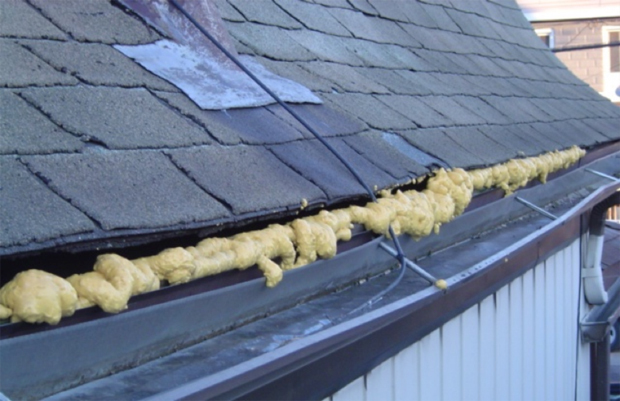 When exposed to direct sunlight, spray foam tends to dry out and break down very quickly. Within a few short months the crack or crevice you filled with foam will shrink, turn brittle and flake away under the slightest of pressure. Expandable spray foam wasn’t designed to be applied with precision. It’s nearly impossible to fill cracks and crevices without spilling globs of unwanted foam out everywhere. Spray foam can make a huge mess that’s a nightmare to fully clean once it adheres. 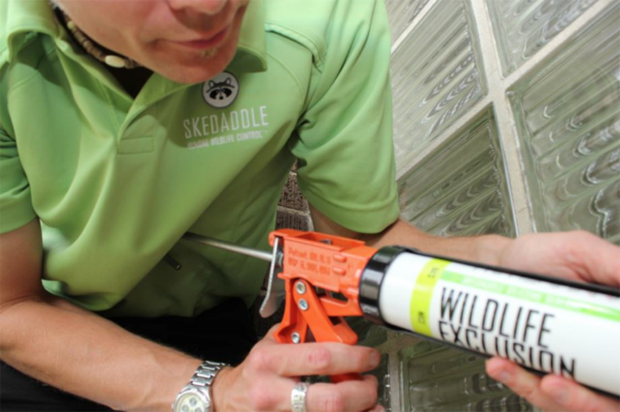 To help fill cracks and crevices found around your home, Skedaddle Humane Wildlife Control uses a specially designed silicone sealant. Our product adheres to all kinds of building materials, expands and contracts without cracking, holds up through extreme weather conditions and most importantly keeps wildlife out. If you’re having trouble keeping pests out of your home then it might be time to call a professional. Skedaddle Humane Wildlife Control performs humane removals of raccoons, squirrels, bats, mice, skunks and more. Give us a call today at – 1-877-222-9453 to book an inspection today.